CHENNAI: As I entered the well-lit room with chairs arranged neatly, Shoba Narayan welcomes me with a warm smile. Dressed in a beige-coloured saree with motifs of cow on it, she flaunts her pallu, saying “this is my love for cows”. 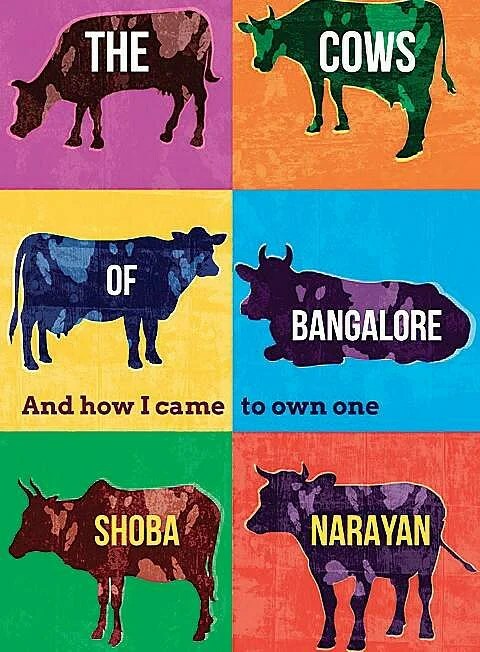 The Bengaluru-based author was recently in the city for the launch of her book ‘The Cows of Bangalore’ by Prakriti Foundation. After having spent most of her childhood in namma Chennai, Shoba went on to graduate from the Columbia Journalism School, where she was awarded with a Pulitzer Fellowship. Having spent 20 years in the US, Shoba is now settled in Bengaluru with her family. The award-winning author talks to us about her book, love for the city and culture. “The beauty of cows is that you can expand it to look at anything in our country, so I was using that as an anchor to explore all that is happening and going on in India.” The book starts with an anecdote about the time when she saw a cow in the elevator of her apartment, brought in for a house-warming ceremony. Her Eureka moment for the book happened when she befriended Sarala, the lady who brought milk for her, and they shared a special relationship. “We all encounter so many people in our daily lives like the isthiri wala and the flower vendor. 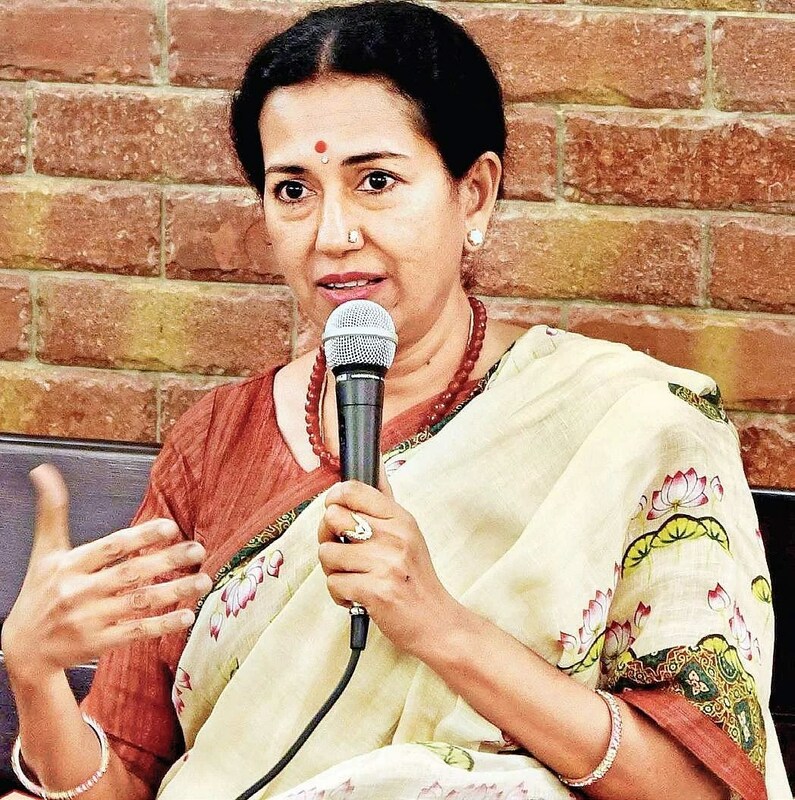 But Sarala was unusual; she is very generous, a great story teller, she loves cows and moreover she was able to explain it in a way that somebody who is cynical can understand. Her personality is what gave rise to the book.” Shoba explains. The book which is a simple narrative that happened organically over 10 years in Shoba’s life includes the story of how she went around villages in Karnataka with Sarala to buy her a new cow, with the money that she had given the latter on loan. “One day she came up to me and said ‘Amma, can you give me a loan of `40,000, I want to buy a cow.’ And being the good storyteller that she is, she convinced me to do the same. We looked at around 30 cows before settling on Anandalakshmi,” she says. The book further looks into all the aspects of a cow and how it is an important part of the mythology and Indian culture. “Anything with ‘go’ is linked to the cow (Godavari, Gotra, Gopal). We introduced ghee and the cow was the source of it, we used the same ghee to do agni homam and reach out to god. Even in Vedic times, they would domesticate other animals like sheep, buffalo, horses, etc. So then why did they chose the cow of all those to be a sacred animal?” she asks. The only challenge Shoba faced was when she had to decide whether to include the political aspects of the topic. “In India, the cow has become a political topic, so I had to make the choice if I should include it. As a vegetarian who loves animals I decided that if I have to do this halfway political thing I would have to get into the butchering and slaughtering, which I did not have the stomach for,” she says.